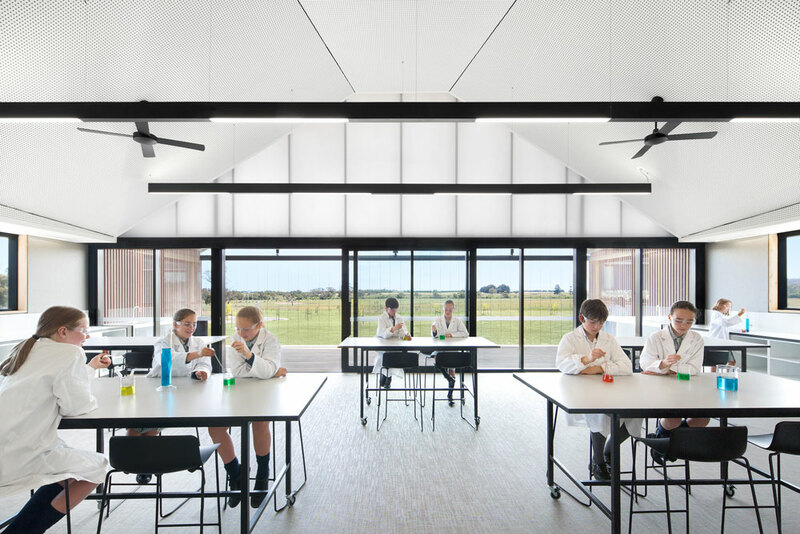 Hayball has been working closely with Braemar College on a new campus Masterplan. Stage one involved the development of a new campus to provide a stand-alone Middle School for students in years 5-8. The new campus celebrates education and social interaction, responds to the rural context while respecting distant views to surrounding natural landmarks. 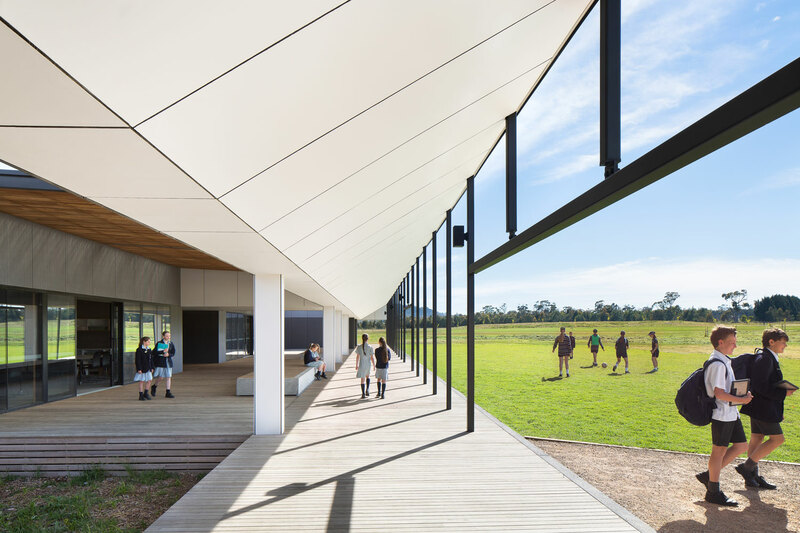 It addresses the challenges of the existing steeply sloped Macedon Campus: managing fire risk for its community, providing contemporary learning environments, and allowing equity of access to all spaces. 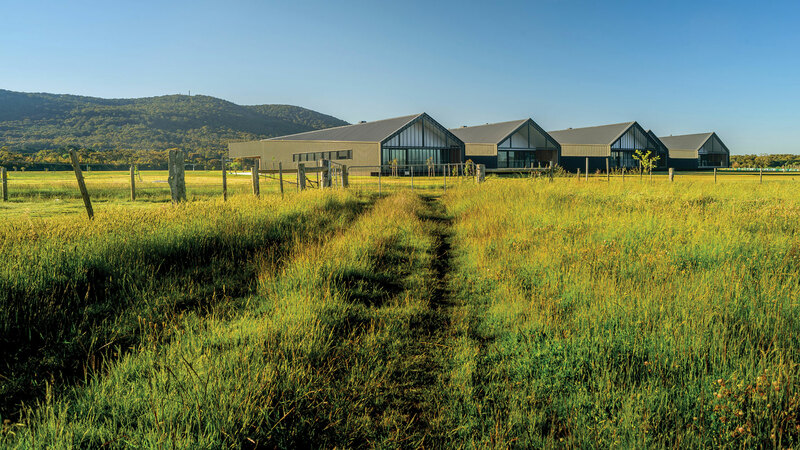 A focus of the design was the appropriate management of scale and visual bulk within the landscape, while incorporating deep floor plates driven by an interconnected academic program. The perceived scale was balanced by tapering and stepping of the large gable roof forms, which, wrapped in charcoal cladding, manipulate perspective and defy scale. 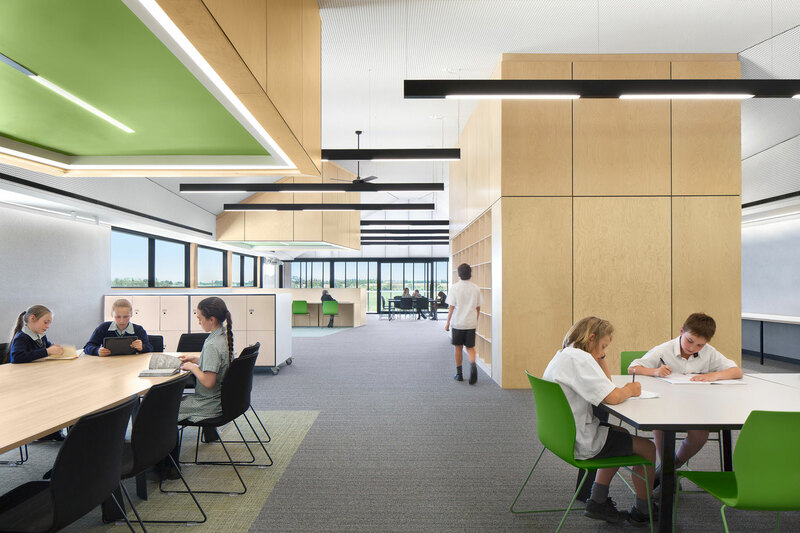 The brief to facilitate the Middle Years learning program, centres around communities of learners within a ‘learning landscape’ of interconnected spaces, resulted in a design that delivers a highly efficient, fluid plan arrangement, connecting general learning and specialist spaces via a central learning common, populated by a series of informal settings for individual and group engagement. The interior volumes of the shed form flow directly out into the vast rural landscape. 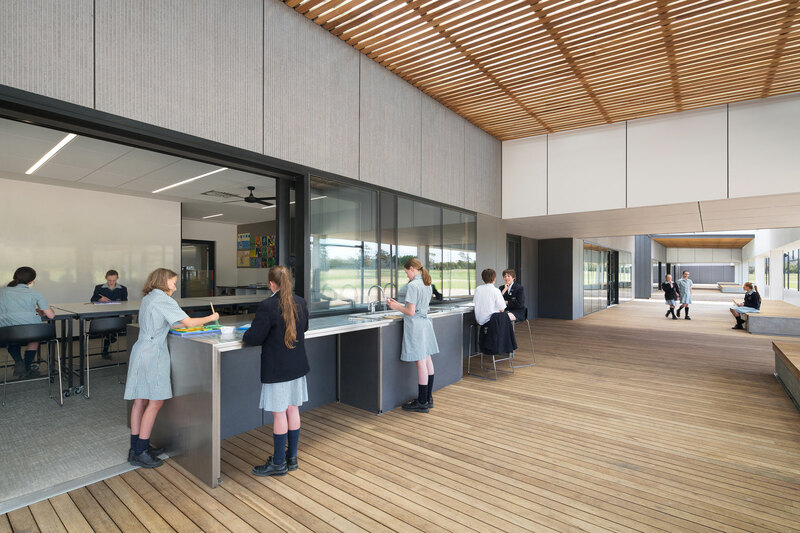 External learning environments are central to both the curriculum and connection to place. Shelter and orientation respond to a harsh climate of seasonal extremes, providing a unique learning platform to support educational programs that focus on farming, water conservation, environmental sustainability, climate and energy. 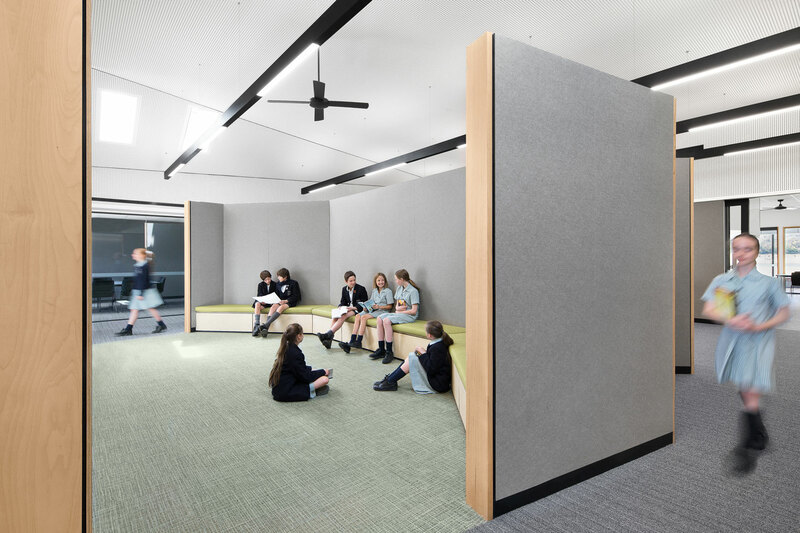 Interior scale is managed by contrasting large volumes for group gathering with the use of dropped bulkheads defining targeted learning settings requiring intimacy. 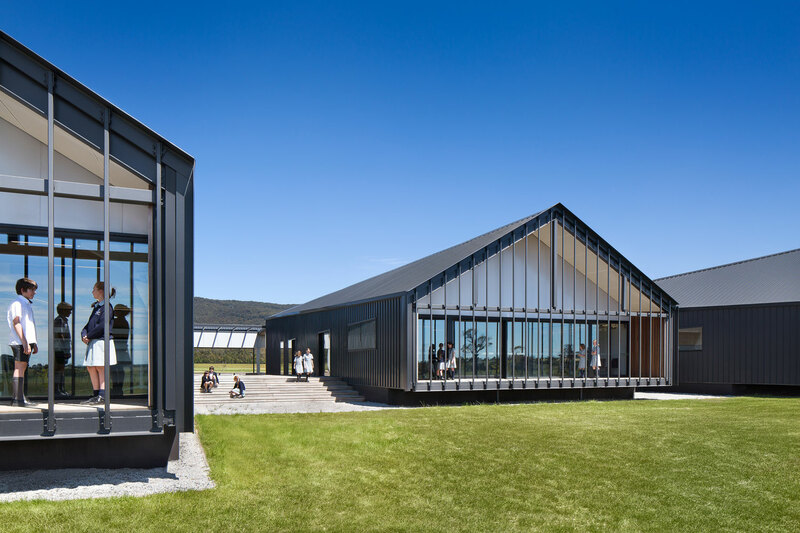 Natural light is admitted, controlled and managed throughout the building ensuring connection with the landscape is constant, via large and small apertures within the shed’s skin. The design team worked with Braemar to embrace the school’s school motto of ‘Unum Corpos Multi Sumus’, meaning ‘one body, many parts’, ensuring that while the college is transforming into a multi-campus school, we could uphold their strong community, culture, and values through design.